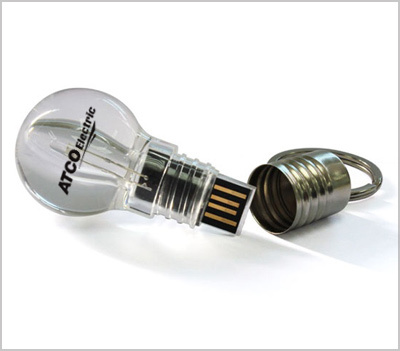 Introducing our new light bulb USB flash drive. A flash drive with some bright ideas. Illuminates red when plugged into the computer's USB port. Inches: 2.44" x 1.14" x 1.14"